2018 is around the corner, and email marketing still isn’t going anywhere. The targeting and personalization capabilities of email marketing set it apart as the digital marketing channel yielding the highest ROI. Email marketing tactics are evolving rapidly to meet the demands of modern consumers, and an increasing number of businesses are using marketing automation platforms to help them keep up. According to media publication VentureBeat, 56% of companies currently use an email marketing provider and are 75% or more likely to be purchasers of marketing automation software over the next year. Whether you’re a small business or a larger corporation, here are 5 signs that it’s time to look into using a marketing automation platform if you haven’t already. 1) There is confusion among members of your sales team. Every company’s email marketing team and sales department should be on the same page about lead generation and targeting to achieve optimal results. Unfortunately, if you are doing traditional email marketing that relies on only tracking click through rates and opens, your sales team is at a disadvantage. They could be targeting leads that are not ready to buy or commit, which is a waste of everyone’s time. However, by using a marketing automation platform that provides you with a comprehensive overview of all email marketing data that can integrate with the rest of your company’s overall marketing touchpoint, sales reps can make much more informed decisions. Your sales team can use a marketing automation platform to score their leads based on their email campaign engagement and other characteristics. This kind of functionality would be impossible with old strategies and techniques. 2) Time is wasted and mistakes are made with manual email sends. Gmail, Yahoo, and msn.com (or whoever your email service provider is) cannot help you automate your emails. You’re dependant upon manual labor to ensure that you’re reaching prospects, leads, and customers at the right stage of the sales funnel at the right moment. Manually creating emails is not an efficient use of time (and certainly won’t help you keep up with your competitors). If you invest in a digital platform that has email automation capabilities, you’ll be able to focus on creating multi-stage programs to nurture your leads while you get other work done. 3) It’s been difficult to keep leads engaged lately. Even if you are a machine, when it comes to collecting and storing leads in a database (or better yet, a data warehouse), you might not be engaging with them in a fruitful way. If you have no clue about where your leads are in their buying cycles, and can’t figure out if your message is resonating, it’s a surefire sign that you need a marketing automation platform. When you use lead nurturing tools you’ll ensure your email campaigns aren’t in vain. With marketing automation software, you can segment the contacts in your database and guide them into the sales funnel by creating automated campaigns that will engage leads in the long run. By using a marketing automation platform, you can simultaneously run and track campaigns, craft lead nurturing programs, and score your leads. Also, you can keep track of ROI by accurately attributing revenue directly to each marketing program. 4) Attributing revenue to your email marketing efforts is complicated. Proving email marketing ROI is a primary component of being a successful email marketer. It shouldn’t be a complicated, headache-inducing process to use data to illustrate and explain how email marketing is increasing the business’s bottom line. Marketing automation platforms empower you with comprehensive analytics for every email program so you have concrete evidence that they’re having a positive financial impact. Naturally, you want to know how you can improve your strategy each time you create a new program to increase ROI. A platform can give you that capability, too. The performance of your email marketing program illustrated in visually appealing dashboards greatly helps. 5) Scaling is increasingly challenging for your business. If you want your business model to be scalable, you need the right digital tools to stay organized in your email marketing efforts. As your company continues to grow, you need easy access to your customer data to craft the right email lists. The more leads you have in your data warehouse and the more marketing programs you want to execute, the more time intensive it becomes to create effective, segmented email blasts. Email marketing continues to be one highest return delivery methods across all mediums of digital marketing. 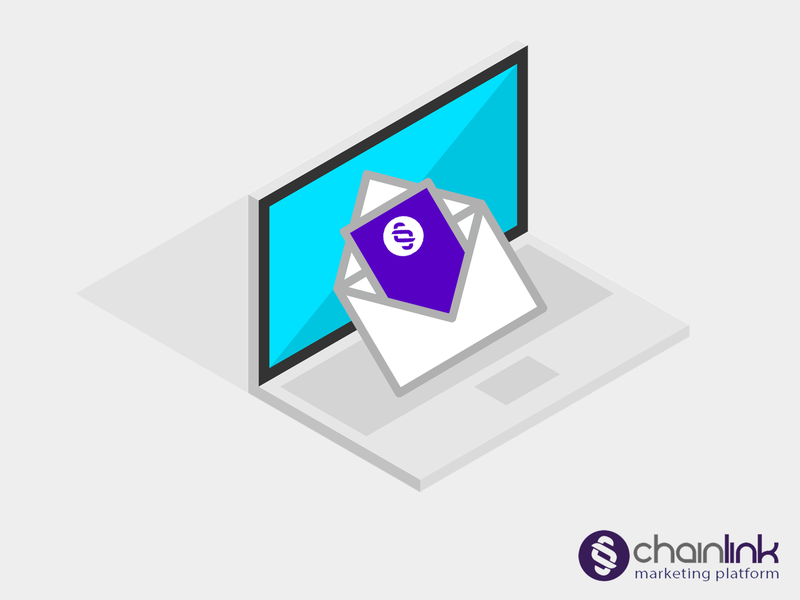 With our proprietary Chainlink Marketing Platform, you can deliver automated, intuitive, dynamic email messaging with the appropriate 1:1 messaging that every modern customer deserves. The Chainlink Marketing Platform allows you to craft, design, and implement multi-channel messaging programs, without any previous technical training. Using our visual tools, you can create multi-step programs and campaigns that are reactive and dynamic, with automated steps. Our tools make it simple to set up these complicated efforts in minutes.